You’ve flashed CyanogenMod 10.1 and your phone is now running Android 4.2. You’re now fully equipped to enjoy the new keyboard, lock screen widgets, improved notifications and all the other small but very welcome improvements seen in the most recent version of the OS. But you needn’t stop there. CyanogenMod is more than just a plain version of the Android OS. It has a few extra features that enable you to configure and tweak how the system looks and works. The options are subtle and, as is typical with CyanogenMod, so perfectly integrated into the system that you would never know they weren’t a default part of the OS. The features that we’ll look at in this tutorial are split into two sections. The first concerns the new lock screen with widget support. 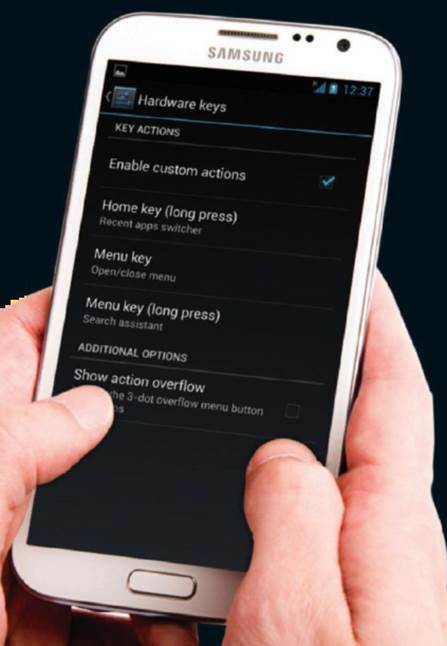 In CM10.1 you can stretch the lock screen widgets to full-screen view, making it even easier to get your at-a-glance information without needing to unlock your phone. And if you do unlock your phone, there are a massively increased number of options there too. The other area we’ll look at is the status bar and another of the new 4.2 features, the Quick Settings pane. Here you can not only adjust how to open it, configuring it for left or right handed use, but also customize which options you’ll be able to access from within it. It’s these small touches that continue to make CyanogenMod the most popular, and indeed best, ROM around. 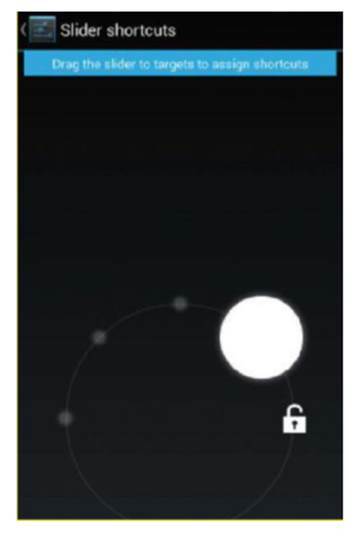 Back in the Lock screen settings we’ll now take a look at Button actions. This enables you to configure how the hardware, or capacitive buttons on your device function when you long press them, adding extra functions if needed. You can also check how they are currently configured. The Edit shortcut and icon window will now open. You can choose from the various apps and other shortcuts (such as items within Settings) that you need to access regularly from the home screen. You can also tap on the icon to choose your own option from an icon pack. Make sure you save and apply your changes to apply them by tapping the disc icon in the bottom-right hand corner. 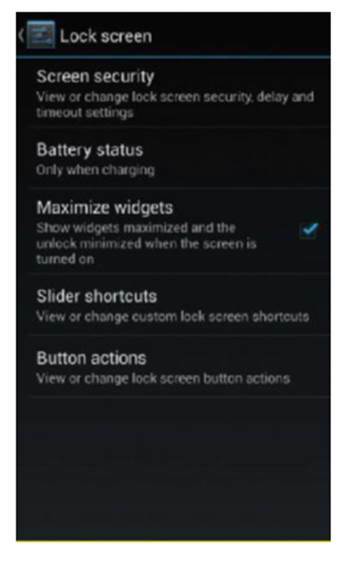 Now go back to the Lock screen settings page and tick the box marked Maximize widgets. This will afford a greater amount of space to your lockscreen widgets. 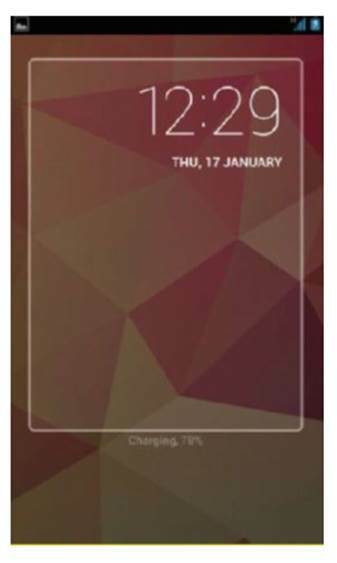 Switch the screen off and on to view your lock screen. Your widgets are now being displayed in full-screen mode. Swipe right to launch the camera, and swipe left to add extra widgets as normal. 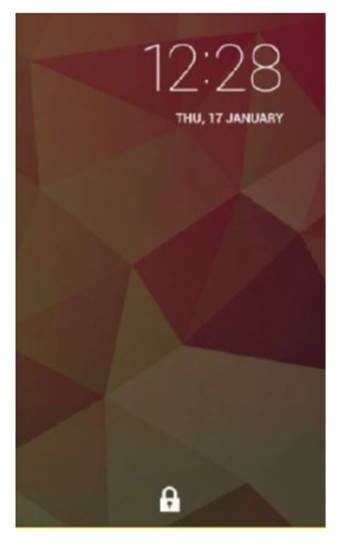 Some third-party apps are also now adding their own lock screen widget capabilities. 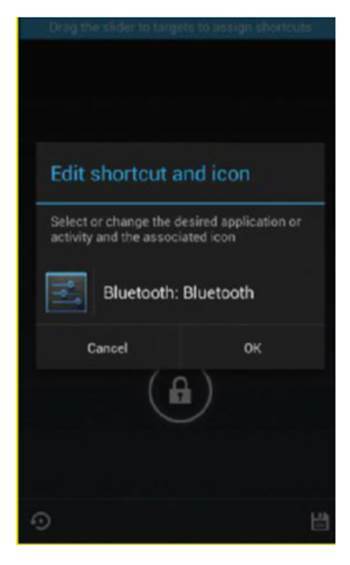 With your widgets maximized you cannot now unlock the phone simply by swiping the lock icon. Instead you need to maximize it (and minimize the widget). Swipe it upwards from the bottom of the screen to do that, then unlock the phone in the normal way. 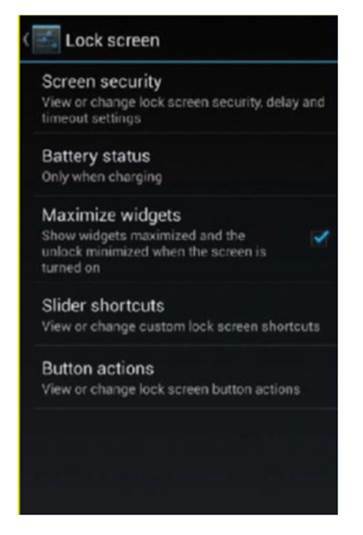 Go into Settings and locate the options for the Lock screen. The first setting to tweak is the Slider shortcuts. With this you can add up to four apps or functions to launch directly from the lock screen. Tap the Slider shortcuts button then drag your finger to one of the empty dots located on the circle. Choose one of the buttons available on your device and tap on it. A series of actions will now be displayed that you can assign to each of your buttons. 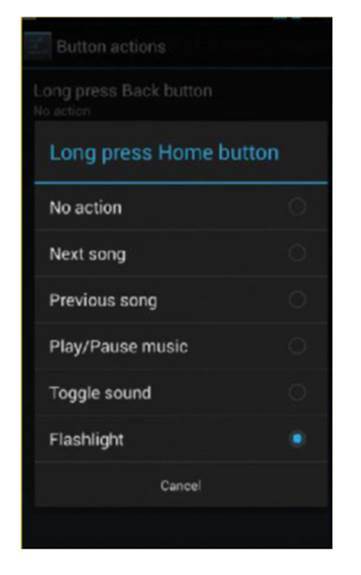 These include a switch to silence the sound, music controls, or the ability to use the LED as a torch (although this may not work on all devices). Now return to the main Settings screen and locate the options for the Quick settings panel. 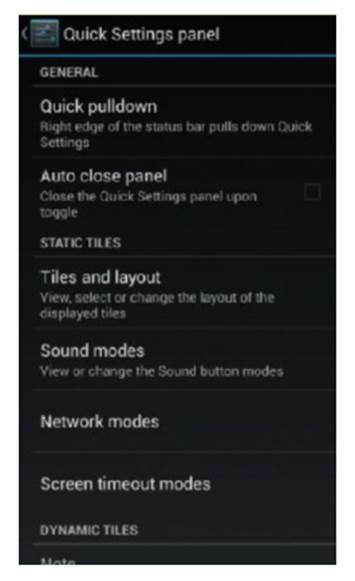 There are a large number of ways you can configure this new feature in Android 4.2. 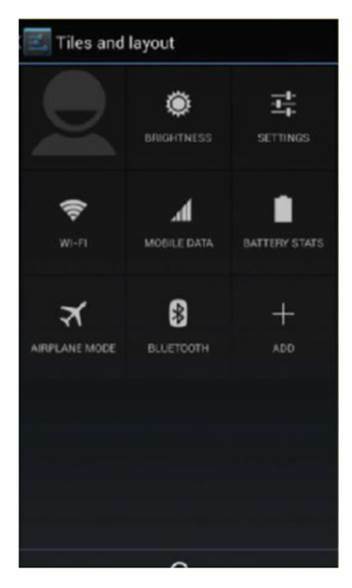 First you need to turn it on, so tap on the Quick pull down option at the top of the menu. 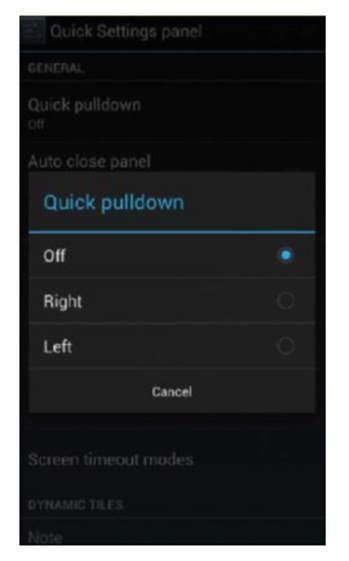 You can set the Quick settings panel to open when you swipe down from the top-right of the screen, or the top-left, and which you choose will probably depend on whether you are right or left handed. Also tick the Auto close panel to make sure it closes after you select an option. Finally tap Tile and layout. You can add extra shortcuts to the panel by pressing the Add button and selecting from the list. You are also able to rearrange the order in which the icons are shown by holding on them and dragging them into position, making your most used ones more accessible.